Variable Valve Timing, popularized on cars and on outboard motors, has begun to trickle down to marine engines. But before we talk specifically about Volvo Penta 's 380-horsepower VVT V-8 let 's review some theory. You already know that VVT works its magic by varying camshaft timing: Advancing or retarding, depending on engine rpm. That results in greater efficiency and power over a wider range of engine rpm. VVT 's ability to make a single camshaft do the work of both a low rpm high-torque cam and a high rpm racing cam has challenged the timeworn axiom that claims There is no substitute for cubic inches. The replacement phrase should be something more like, "There is no replacement for volumetric-efficiency." 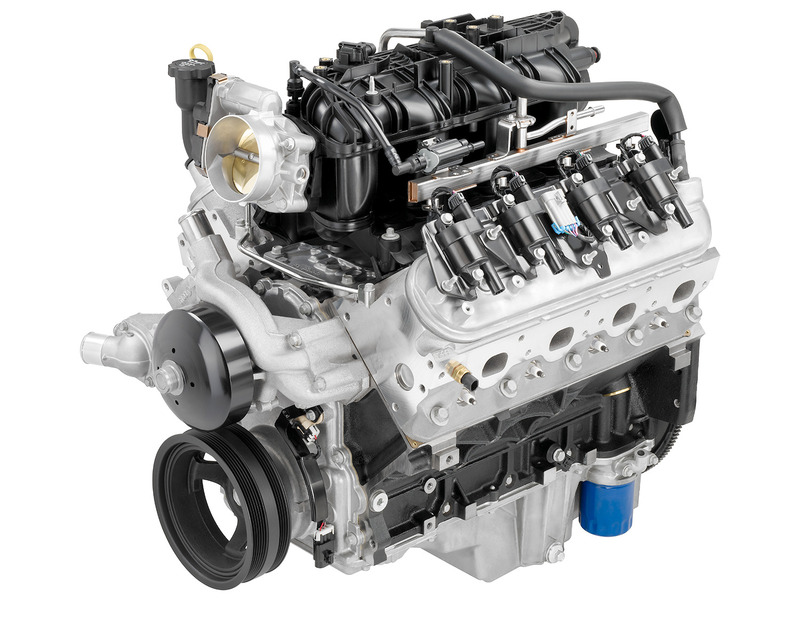 VVT small block V8s, are as powerful as big blocks only boasting better mileage than a big block. Before we go any further let 's take a moment to delve into basic theory. Ever since Otto-engine-number-one left the assembly line back in the late 1800s V-8 marine engines have had static, or fixed, camshaft timing. It works like this:Intake and exhaust valves are actuated by eccentric lobes ground onto a camshaft. During intake and exhaust the lobes lift and hold open a valve for a certain number of degrees, for example, 270 degrees duration. Shorter duration camshafts (230 degrees) favor low rpm torque while longer duration (310 degrees) favors high rpm horsepower. The former might be found on a stock engine while the latter on a High Output engine that makes big horsepower at Wide Open Throttle. Know that conventional marine engine camshaft profiles are ground to maximize either low-end torque, or high-end power. You 've doubtlessly seen this with Mercury Racing 's potent engines and they way they idle roughly at about 2,000 rpm, this characteristic due to their camshaft 's long duration. Among other variables, an engine 's torque curve is dependant on duration. along with the fuel economy of a small block. Also important to know, timing, or the precise moment when a valve begins to open and close, relative to crankshaft 's Top Dead Center also figures prominently into the torque curve equation. Generally, advancing camshaft timing to open valves sooner builds more low-end torque and conversely retarding camshaft timing builds more high-rpm power. A VVT engine does both, either opening early and opening later depending on whether the engine 's ECM wants to build low end torque or WOT horsepower. So naturally it follows, two identical engines of the same displacement, one conventionally cammed, and the other with VVT, will behave dramatically different. Important to note: VVT does not change duration, but instead advances or retards when that duration begins and ends, relative to crankshaft Top Dead Center. Technophiles will want to know the details of exactly how Volvo Penta varies camshaft timing. The answer is with what 's called a cam phaser, a gizmo that rotates the camshaft relative to crankshaft. The camshaft phaser has two basic components: An sprocket meshed with the timing chain and an inner rotor bolted to the camshaft. The rotor has two oil chambers. Oil pressure, controlled by the ECM, pushes the rotor back and forth by pressurizing oil on one or the other chamber. Not long ago I tested the VVT engine at Volvo Penta 's waterfront facility near Chesapeake, Virginia. Two 26-foot boats were in the water, one rigged with twin big block V-8s and the other with twin Volvo 6.0 liter 380-horsepower VVT. In acceleration trials the Volvo VVT consistently and dramatically walked away from the conventional V8. 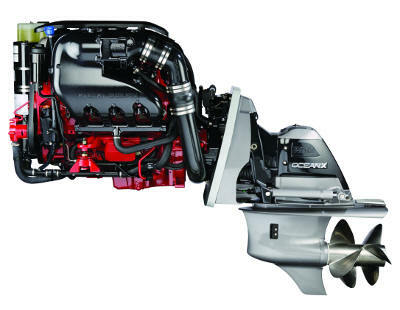 Volvo Penta 's VVT is founded upon GM 's 6.0 Liter Vortec truck motor replete with high flow aluminum heads and a composite intake manifold. Long block marinization adds an aluminum exhaust system. Cooling is freshwater and provides significant protection against corrosion, a point not to be taken lightly in the harsh marine environment where the cylinder block is cast grey iron and the cylinder heads and exhaust manifolds are aluminum. Compared to a big block the 6.0 liter is lighter and a smaller, 12 percent more fuel efficient and 20 percent lighter. Finally, Volvo engineers diligently subjected the new marine motor to more than 8,000 hours of durability testing. Author Timothy Banse has published articles in Popular Mechanics, All Chevy, Pickup Van & 4-Wheel Drive, Mecanica Popular, Motor Boating, Yachting, Mar y Vela and other magazines and newspapers from around the world. He writes about cars, trucks and marine-engines.